We all need a little help with exercise sometimes, whether we're just starting out or we've been at it for a long time. Still, there are people who shy away from personal training, unsure of what they'll get out of the experience or whether it's worth the money. There are a number of reasons people work with per trainers. Some want an individualized program so they can lose weight or get in shape while others simply need to be held accountable for their workouts. Wherever you are on your exercise journey, a personal trainer may be just what you need to take it to the next level. If you've been exercising consistently for several weeks or months and aren't losing weight or reaching your goals, hiring a trainer may be a good choice. A trainer can look at your current program and eating habits and help you see where you could make changes to create more effective workouts. A trainer can also help you determine if the goals you've set are realistic for you, hold you accountable for your workouts and help you stay motivated to exercise. You may even find that you aregetting results, just not in the way you expected, something a trainer may see more clearly from the outside. Knowing how to set up a complete exercise schedule that includes all the activities you need to do - cardio, weight training, and flexibility - can be overwhelming. Add the time and knowledge it takes to choose exercises, weights, reps, and sets and you may quit before you even start. This is where a personal trainer can be the biggest help. He can help you maximize your time while keeping you within your own limits so you don't overdo it. He can also help you set goals and map out a specific schedule so you know when, how and where you'll fit in your workouts. If you're an experienced exerciser, maybe you haven't considered working with a personal trainer. However, it can be a great choice if you need some variety in your workouts. 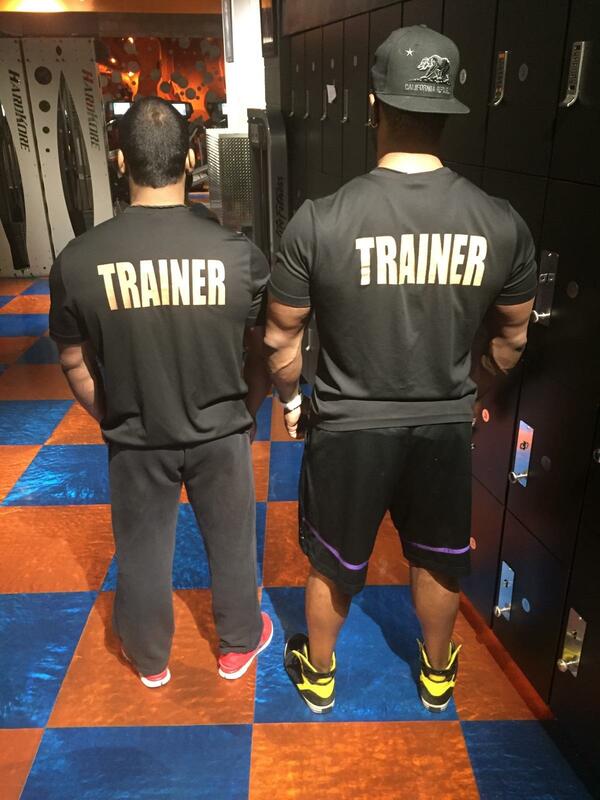 A trainer can bring a fresh perspective and new ideas to challenge both your body and your mind. Even if you just do a few sessions or meet every few weeks, you'll find it refreshing to have new workouts and new exercise toys to play with. A trainer can also introduce new ways to exercise - Circuit training, different methods of strength training and different types of equipment you've never tried before. If you're like me, you tend to slack off on your workouts sometimes, especially when things get tough. A trainer can motivate you to push past those self-imposed limits, encouraging you to lift heavier, go longer and challenge yourself more than you would on your own. You'll find it's very hard to slack off with a trainer standing over you, telling you to do just...one...more...rep! You may even find hidden strengths you never knew you had, which can motivate you even more. If you have any specific issues like arthritis, heart disease, old injuries, etc., working with an experienced trainer (who works with your doctor, of course) can help you find a program to help heal injuries and avoid any further problems. It's also a great idea to work with a trainer if you're pregnant or trying to get pregnant and want a safe, effective workout to keep you healthy and fit. Keep in mind that you want to find a trainer who has experience with your issues, and make sure that trainer works closely with your doctor and/or physical therapistfor the best experience.